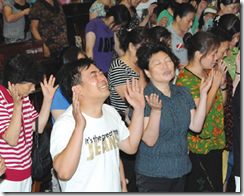 Most of the time when it comes to China, Western Christians hear about all of the great stuff happening in unofficial house churches while many contend that the official ‘Three-Self Patriotic’ Churches are somewhat compromised by the government. According to the following article, that is no longer the case as real revival has also come to the official churches and faithful leaders are becoming pastors and leaders in that movement and are increasingly left alone to teach and preach the Gospel. 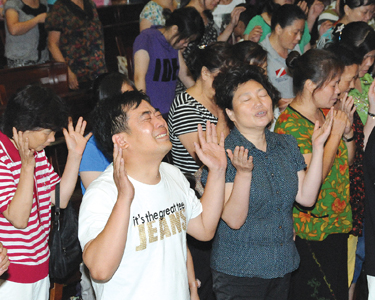 According to the writer, revival has been going on for some time in the house churches in the rural areas of China now it is raging also in the large official churches in the big cities with thousands of young people coming to Christ. Not only that but the ‘official’ churches are experiencing a genuine Holy Spirit revival with healings, praying in tongues, and prophesying. All we can say about this is that it is a real mark of a genuine move of God when a revival goes beyond the organizational, denominational, and political boundaries that people are comfortable with and touches people and places where most proper Christians will not go. -China: The Biggest Revival in History? When the Communists took over China in 1949 there were only about 900,000 or so Christians in the country according to the best estimates. 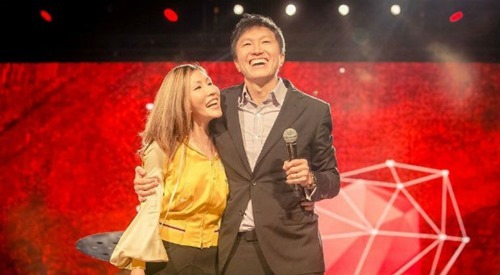 Now there are more than 150 million and no one really can keep tabs on the actually number since there are actually thousands of Chinese coming to Christ every day. Some are calling it the greatest revival in History. It is transforming the country and has real implications for the future. Consider that at the current growth rate of the church, China could actually become a majority Christian nation within a generation or so. Nevertheless, most of the Christian ‘house’ churches do not have official recognition and their existence is rather precarious even though most are meeting openly. Also, there are still jurisdictions in that rather vast country where Christians are still being persecuted and must meet in secret. However, increasingly the government is leaving them alone in most areas. Note also that nearly all of the major Christian leaders have spent at least some time in jail and prison for the faith.